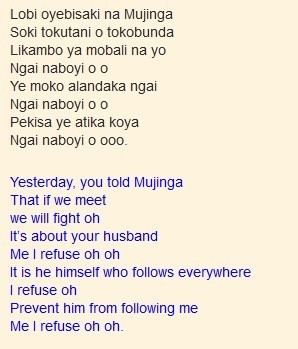 The song Mujinga, composed by Franco was released in 1981. 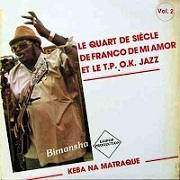 It was part of the popular album labeled Le Quart De Siecle De Franco De Mi Amor (Quarter century of Franco). The album also featured classic hits Bina Na Ngai na respect by Dalienst and Mobali Malamu, also by Franco. 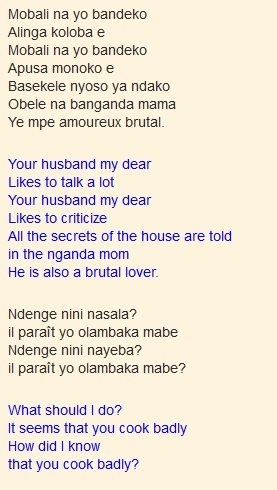 It is a song that features a discussion between two women. 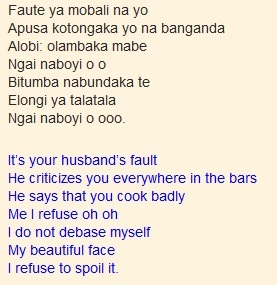 One of the women tells the other that her husband has been trying to woo her by complaining that his current wife does not cook well, does not clean the house and is generally not a good wife. Franco provides lead vocals and also plays a blistering lead guitar in the sebene section of the song. The choral section prominently features Ntesa Dalienst. This entry was posted in Franco & TPOK Jazz songs, Songs, TPOK Jazz songs and tagged Franco and TPOK Jazz songs. Bookmark the permalink. 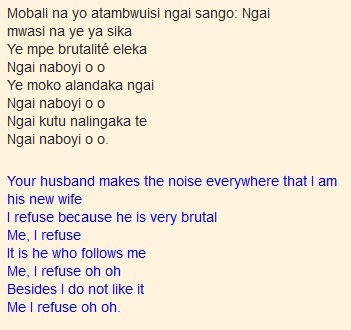 On vocals: Josky Kiambukuta, Ntesa Dalienst, Pepe Ndombe Opetum & Franco. Guitars: Gerry Dialungana on solo, Franco on mi solo, Gege Mangaya on rhythm and Mpudi Decca on bass. My favorite no.thanks for your translation keep it up. Very informative! I really love the song n in fact its playing now on my player. Can the video of the same be found? 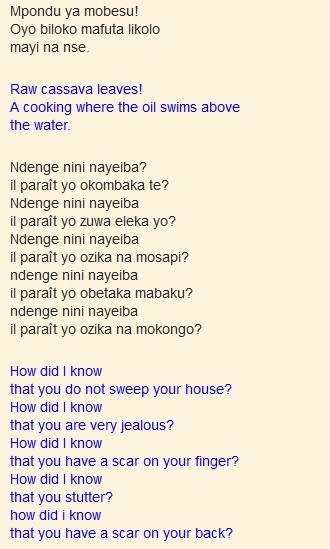 Franco sings in kiswahili which goes “naharibika roho haiwezi tena, tafuta namna urudi kunikamata, ooh nitakufa, ooh naogopa, ooh utarudi, ooh nitalia, ooh tafanya nini ? ooh nakuwa masikini, ooh juu ya nini? what is the title of that song and in which year did it come out? I have really been looking for this song.